FingerTec is constantly upgrading the terminals’ hardware to cater for the needs of larger storage capacity as well as better performance. 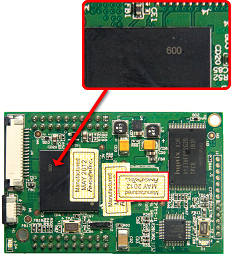 It is essential for the customers to be aware of the different core board versions equipped in the terminal. This information is vital when it comes to claiming warranty parts or purchasing it as a spare part. Please refer to the images below. 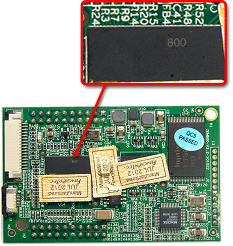 You can differentiate the version of the core boards by checking the numbers stated there. For warranty claims, you can check the manufacturing sticker, which is highlighted in the red box to ensure that it is still within the warranted period.